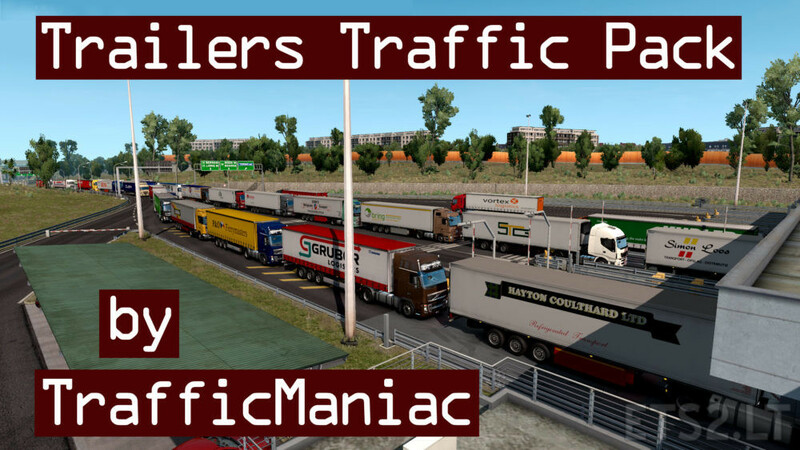 Pack adds in traffic 53 trailers with 212 skins of real companies. Excuse me, this mod conflict the Painterly Traffic Pack? It’s not. The pack is quite an interesting add too. Awesome, I was waiting for something like this, thanks!